Our events are all-motorcycle, and feature tons of new and second-hand bikes, spares, clothing and accessories for sale in the Bikejumble. Cheap pre-booked garage clearance stalls are available for non-traders to have a clear-out plus the free-display-to-sell Bikemart, for members of the public to sell complete, running machines. 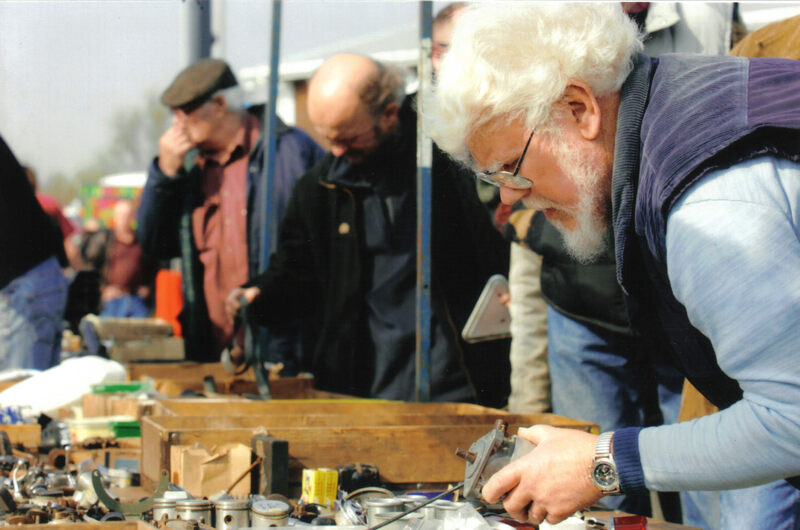 The Show events feature Club stands and private exhibitors, with the Ashford & Ardingly venues offering indoor Show & Autojumble space. 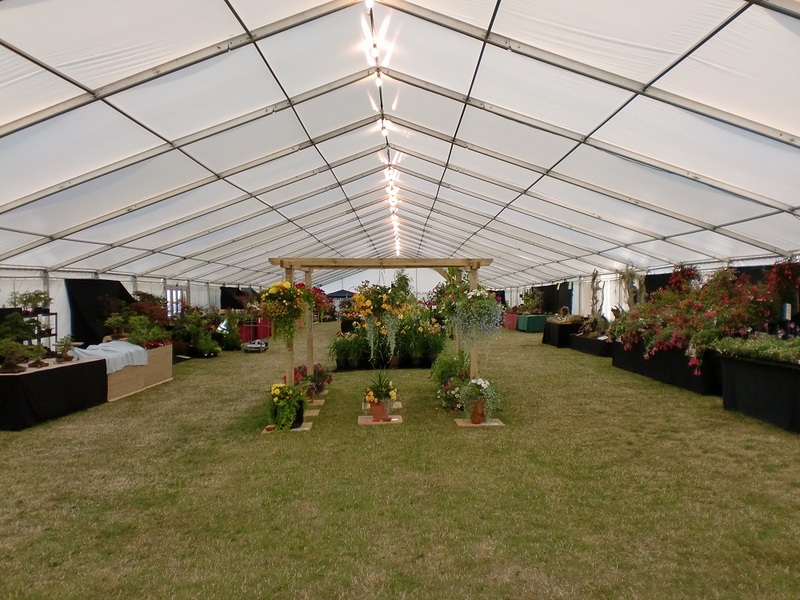 At our Romney Marsh events we have undercover stalls and indoor seating area in our huge marquee at Hamstreet. Also venues have onsite catering, toilet facilities (including disabled) and free parking. Well-behaved dogs welcome. Our events are all-motorcycle and are family-run by enthusiasts since 1992. Real Not just Retro! For further details about stalls, admission, B&B lists or exhibiting your motorcycle please download a booking form below or contact us. Entry: Gates Open 10 am and admission is �6 adults; �5 65+plus; kids under 16 free. 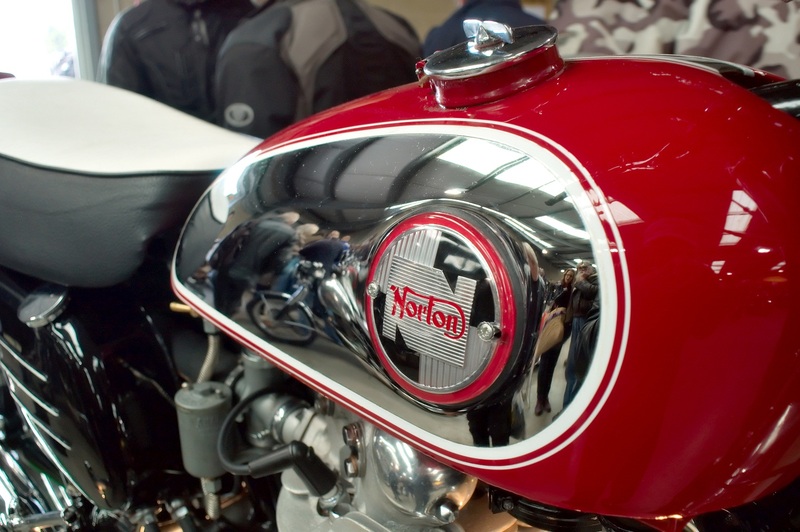 Features: Celebrating 70 Years of the Norton Dominator with Rex Butcher and friends together with Norton Owner's Club Surrey Branch, and the Fire-Up Paddock will be in action - watch this space! The Royal British Legion will be providing a Helmet Park in aid of the RBL in The Stockman�s Building. Free BikeMart display-to-sell area for private vendors, enquire for details. Cheap garage clear-out stalls are available � just �10, must be pre-booked, see below to download a booking form. Entry: Gates Open 10 am and admission is �6 adults; �5 for senior citizens 65 and over; kids under 16 free. Features:Show Theme: 50th Anniversary of the Honda CB750/4: Celebrating the first SuperBike - watch-out for more details. Large indoor all-motorcycle Show for pre-1990 machines with Club stands. Large indoor and outdoor Bikejumble with new and used spares, bikes, clothing & accessories for sale. In response to popular demand, all pre-1990 motorcycles are eligible to enter the show; if you'd like to enter your pre-1990 classic into the Show, and can do so before April 1st, then you'll be sent a pass which will let you in for absolutely NOTHING. 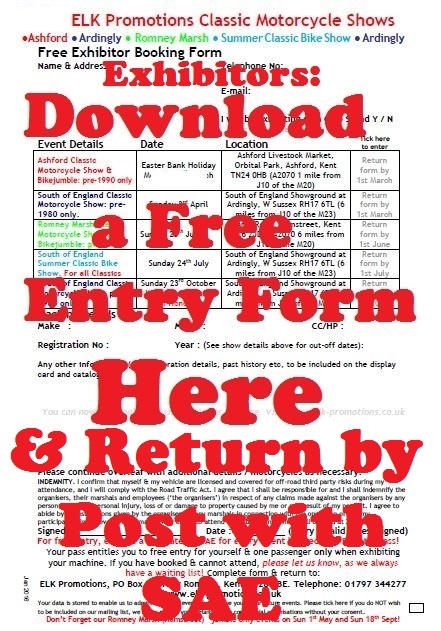 See below to download a free entry form. 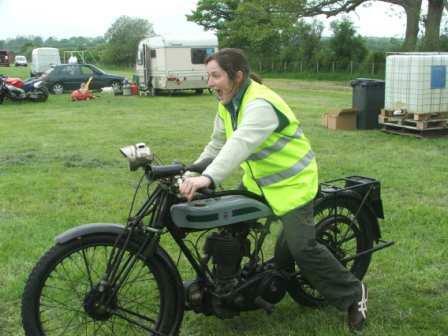 Romney Marsh Classic Motorcycle Bikejumble: 10am Sunday 19th May 2019. Ride-In Show. Two �25 spot-cash prizes are on offer for the Best Classic (pre-1990) and the Best Post-Classic. Prizes to be awarded at 1pm. Just turn-up, pay your normal entry fee and park in the designated Ride-In area. Motoball Five-aside football played on motorcycles, watch it here! Large all-motorcycle autojumble: Undercover stalls and indoor seating area in our huge marquee! Large indoor and outdoor Bikejumble with new and used spares, bikes, clothing & accessories for sale. 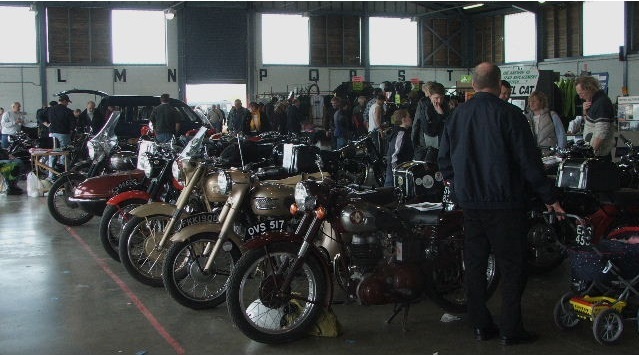 Romney Marsh Classic Motorcycle Show & Bikejumble: 10am Sunday 23rd June 2019. Features: Undercover stalls and indoor seating area in our huge marquee! Large all-motorcycle Show for pre-1990 machines with Club stands and parades of show bikes. In response to popular demand, pre-1990 motorcycles are eligible to enter the show. Summer Classic Bike Show & Bikejumble: 10am Sunday 14th July 2019. Entry: Gates Open 10 am and admission is �6 adults; �5 for 65 and over; kids under 16 free. Features: Special Guest: Dave Degens & Dresda : The Honda Years. Large indoor all motorcycle show for all classics! 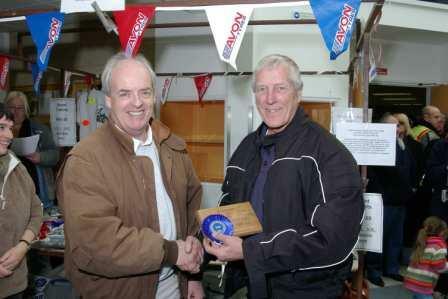 With Club Stands and hundreds of machines on display. Large indoor and outdoor Bikejumble with new and used spares, bikes, clothing & accessories for sale. Free BikeMart display-to-sell area for private vendors. Cheap garage clear-out stalls available � just �10, must be pre-booked. The Royal British Legion will be providing a Helmet Park in aid of the RBL. If you'd like to enter your classic into the Show, and can do so before July 1st, then you'll be sent a pass which will let you in for absolutely NOTHING. The July Summer Classic Bike Show has no age restriction on motorcycles, but machines manufactured after 1995 are expected to be of interest, please enclose a photo / details if you are unsure. See below to download a free entry form. 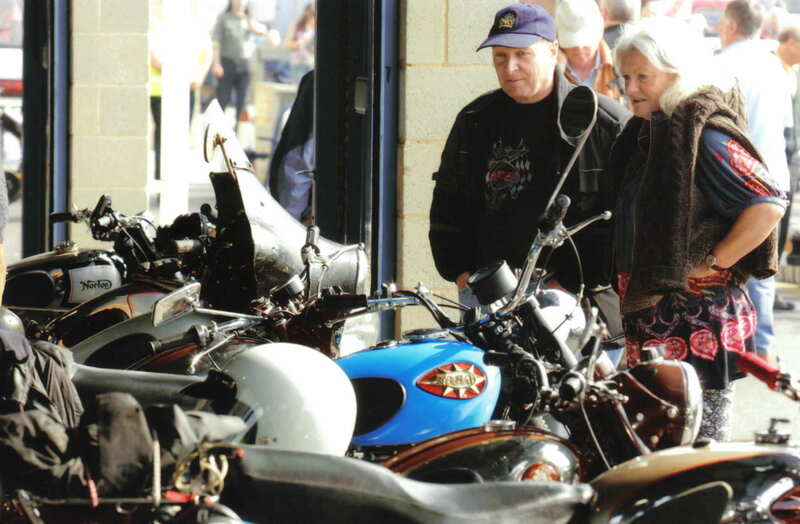 Romney Marsh Classic Motorcycle Bikejumble: 10am Sunday 15th September 2019. Ride-In Show. Two �25 spot-cash prizes are on offer for the Best Classic (pre-1990) and the Best Post-Classic. Prizes to be awarded at 1pm. Just turn-up, pay your normal entry fee and park in the designated Ride-In area. Large all-motorcycle autojumble: Free BikeMart display-to-sell area for private vendors, enquire for details. Cheap garage clear-out stalls are available � just �10, must be pre-booked, see below to download a booking form. Undercover stalls and indoor seating area in our huge marquee! 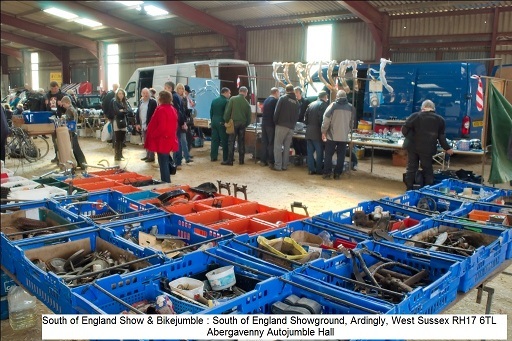 The South of England Classic Motorcycle Show & Bikejumble: Sunday 27th October 2019. Entry: Gates Open 10 am and admission is �6 adults; �5 65-and-over; kids under 16 free. Features: Celebrating 70 Years of The sprung Royal Enfield Bullet with Special Guests to be announced - watch this space! Five indoor halls of motorcycles & bikejumble: Large indoor all-motorcycle show for pre-1980 motorcycles with Club Stands and hundreds of machines on display. Free parking, including disabled parking facilities and priority disabled access scheme so you don�t have to queue! Download Stall Booking Forms for our 2019 events here. 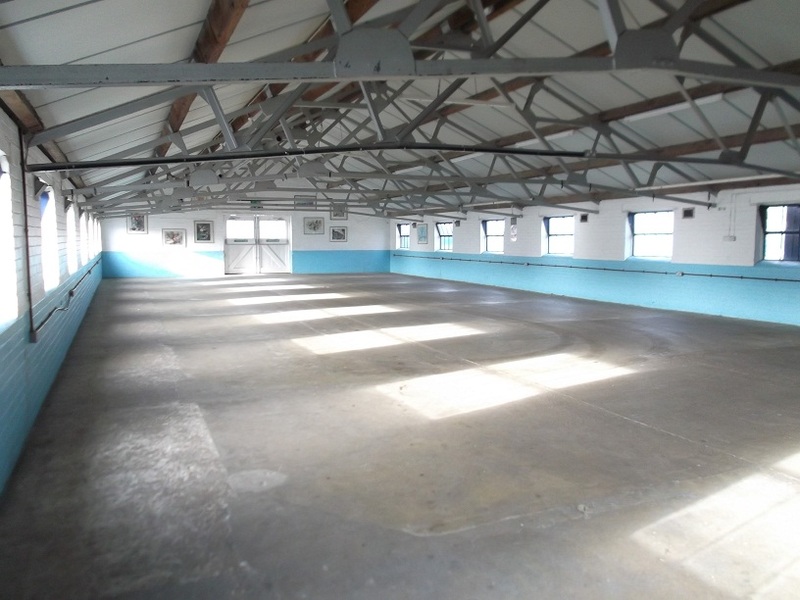 Ashford Market: The Auction Hall, full drive-in access. Stall Booking Forms - Download a form here or send us an SAE to have one posted direct to you. Book Now for our 2019 Events! Book your bike into the Show online, or download a form here or send us an SAE to have one posted direct to you, choose from one of the three options below. and pay �1 per Show to have your free pass posted directly to you. and details for your Display Card and the Show Programme! Choose your Show. Pass will be sent to your payment address. And we will post you an entry form. 2019 Poster Got some window space? Click here to download a poster with all 2019 event dates (194 KB .pdf file). Download accommodation details for all our events here. (100 KB .pdf file). Updated 16th April 2019. © copyright 1997 - 2019 ELK Promotions, PO Box 85, New Romney, Kent TN28 9BE.